The Navy continues to make a series of announcements which show that their future combat jets will include artificial intelligence, as well as the incorporation of drones and hi-tech weapons into future missions. According to an unnamed Navy official in the latest post from U.S. Naval Institute News, "A.I is going to be huge" by 2030. Not many additional specifics were given, but the role of A.I. is currently foreseen "as a decision aid to the pilot in a way similar in concept to how advanced sensor fusion onboard jets like the F-22 and Lockheed Martin F-35 work now." More importantly, the post cites an Air Force summit that is being held in phases, called Air Superiority 2030 and Beyond. I have included links at the end of this chronicle to unclassified documents from this summit that highlight a future where artificial intelligence, Big Data, and The Internet of Things all converge into a pervasive war matrix that includes anti-matter, EMP, smart dust explosives, bio dispensers and directed energy weapons among others (1). Add to this documents such as Weather as a Force Multiplier: Owning the Weather in 2025 and we can see the direction we are being taken over the next decade and beyond. As you will see below, the timeline for development continues to expand, demonstrating that the U.S. military and its corporate war profiteer suppliers are certainly not planning for world peace anytime soon. Today we saw a small, but significant pixel in the future picture of our Navy as we begin integration of unmanned systems into arguably the most complex warfighting environment that exists today: the flight deck of a nuclear-powered aircraft carrier. This test was followed by the successful landing of the same aircraft upon a moving flight deck at sea to which it returned after being stationed at Naval Air Station Patuxent River, Md. That event, as you will see below, is thought to have heralded the arrival of the autonomous drones of the future. The Navy later announced the successful integration of autonomous drones alongside manned aircraft for ongoing regular carrier missions. The aircraft completed a series of tests demonstrating its ability to operate safely and seamlessly with manned aircraft. The first series of manned/unmanned operations began Sunday morning when the ship launched an F/A-18 and an X-47B. After an eight-minute flight, the X-47B executed an arrested landing, folded its wings and taxied out of the landing area. While the Pentagon has thus far insisted that automated systems will never supplant human decision making, and various military analysts don't see any type of autonomous machine warfare as likely before 2030, another video by defense contractor General Atomics puts a very specific date on the next generation of drone warfare - 2017. Also worth noting is the multiple weapons capability of this single aircraft, all wrapped up in a video game interface with its "plug and play" functionality. Does this convince you that warfare is likely to end anytime soon, or that drones are in the mere testing phase? The drones of the future have likely been completed and are awaiting full rollout. This announcement is one more step in the conditioning of the public that the future of drone warfare is just around the corner, when it is already upon us. But we should be happy to celebrate this history-making event. 1. 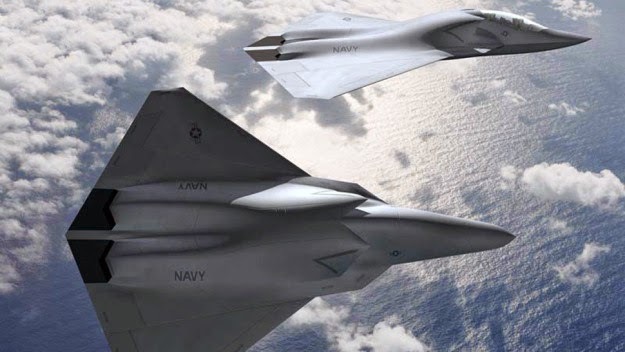 An excellent thread at Above Top Secret posted below offers a concise description and links toAir Superiority 2030 and Beyond summit documents. If you know of others, please leave links in the comment section below and I will continue to provide updates. The notes from the non-classified session are on line. Fun and at times disturbing reading. Let's start with the disturbing part first. Now RFID is part of the internet of things, so your EZPASS might get you droned. Stealth emphasis is reduced in favor of swarms. This has been talked about for a long time. Warning to the anti-science crowd: this document believes in global warming. Other projections include the reduction of off-shoring. Well, let's hope so. Mentioned in the document is "cold atom navigation." Basically it is a return to inertial navigation since the GPS system can be jammed. NASA "Revolutions in Warfare 2030"
We have " “affordable” anti-matter", EMP, "Smart Dust/Explosive", "Bio Dispensers (Anti-People, Things, Plants)" and the Slingatron. Are we having fun yet? Much less science fiction in this document. Unmanned ISR, jamming and directed energy. etc.